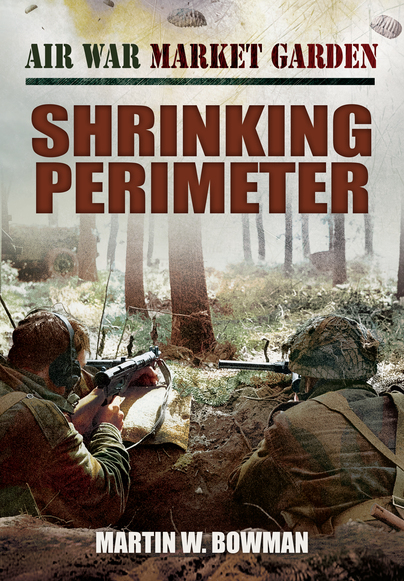 You'll be £25.00 closer to your next £10.00 credit when you purchase Air War Market Garden: Shrinking Perimeter. What's this? The third volume of this four-part series on Operation 'Market-Garden' in September 1944 draws on many individual soldiers and airmen's narratives to tell the story of the ongoing fight to keep the Hell's Highway' open to relieve 1st Airborne at Arnhem, and the brave attempts to re-supply them from the air. As in previous volumes, this account offers a unique perspective on all aspects of aerial activity during this pivotal operation. This volume tells of the Allied effort to retain supremacy in the skies. Individual tales of gallantry work to humanize the account, rooting the action very much in the human experience of conflict. Such tales include the never to be forgotten story of the 'Angel of Arnhem' and the acts of chivalry that existed on both sides - even among battle hardened units such as the SS Panzer Grenadiers. All are unique in the annals of war. These and the other personal recollections of Allied soldiers and airmen and their German adversaries tell of extreme courage, camaraderie and shared terror under fire. And they are complemented by the author's background information that puts each narrative into wartime perspective. Bowman makes very liberal use of a wide range of first-hand accounts and these give the narrative a very lively and personal flavour. Plenty of photographs and anecdotal accounts make this a readable volume. Certainly, this is head and shoulders above some other books on the subject.